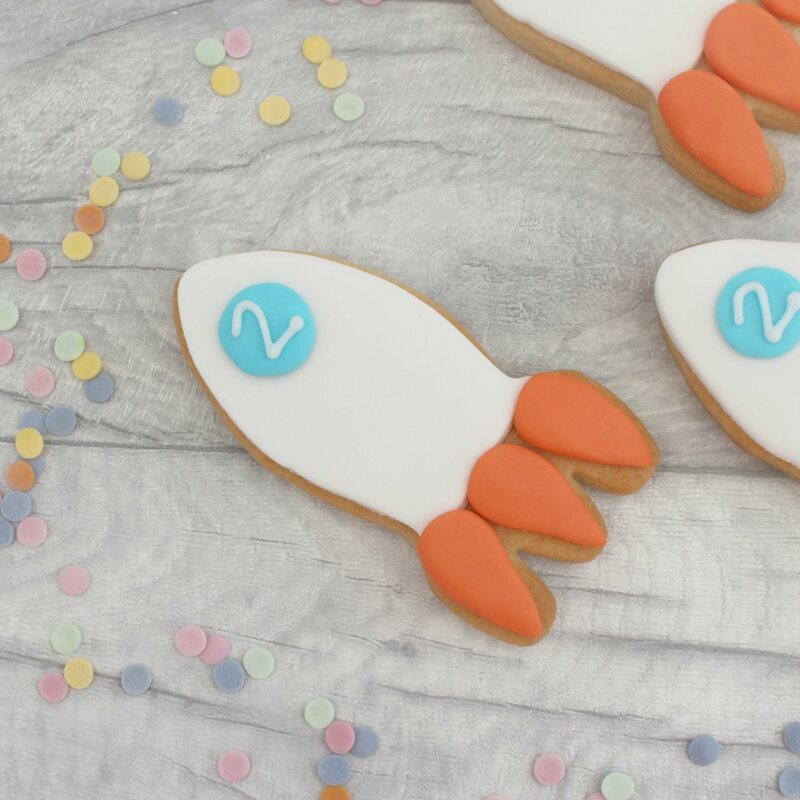 Lovely handmade rocket cookies which you can personalise with an initial or age. Perfect as favours for a birthday party, or even just as a gift set! 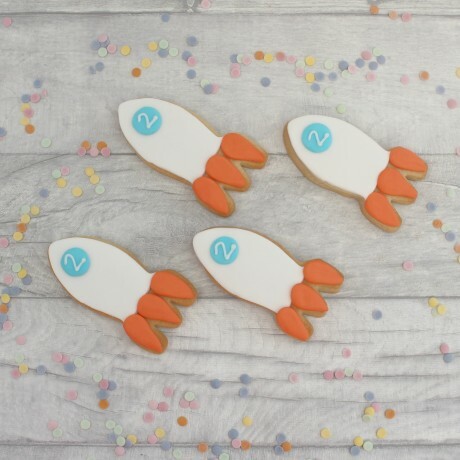 Recommended to eat within 3 weeks of dispatch.Carefully made to order just for you, so please note it may take up to 5 days to dispatch, and then there's the additional time to be shipped to you, so please plan in advance to make sure you get it in time.